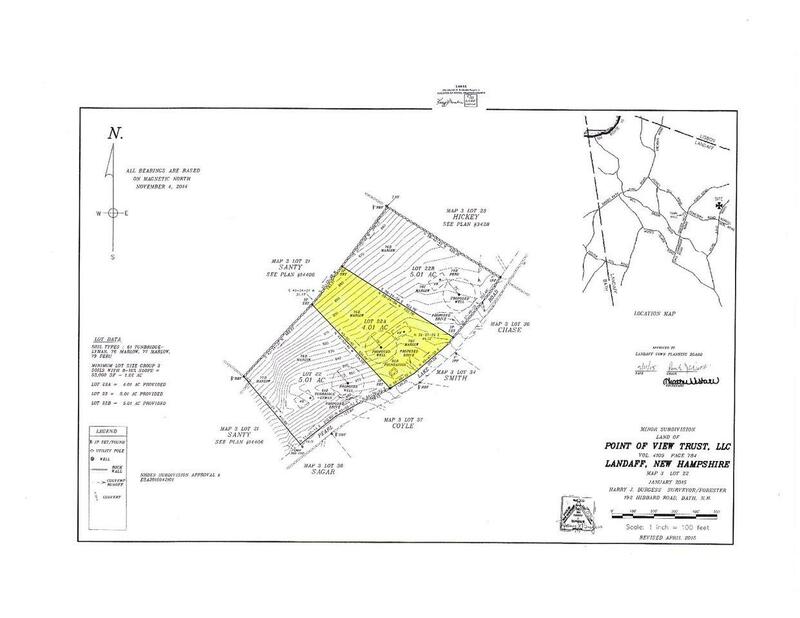 4.01 +/- Acres of land in Landaff off of Pearl Lake Road. With a population of under 500 or so you'll find this sweet little town strong with community spirit and a great place to take in the quiet and important things in life. This lot is perched just off the road, ready for easy installation of driveway and power right at the street, it's been perc tested too! Sited high and overlooking village topography and some distant views the sunsets will easily draw you into the winding down of your day. You'll be living in the midst of outdoor recreation such as snow shoeing, bicycling, snowmobiling, hiking, hunting, fishing, cross-country skiing, and the simple surrounding sights and sounds of beauty in northern New Hampshire. Lisbon is close by for small conveniences. Littleton, the larger hub is a town full of a feeling of youngness and sense of vitality offering many eateries, brewery, bustling pedestrian friendly downtown, music, arts and more. The Blue School is Landaff's own small pre-kindergarten to third grade - perfect if you are seeking out the small town experience. Following middle school you have choice school which included St. Johnsbury Academy. So whether you strive for full time quality of life of living in the country or can retreat here to the north country with us on vacation time, this spot is one that will be tops on your list for building! Sold by Peabody And Smith Realty.